One year on and the global fitness phenomenon known as ‘parkrun’ continues to draw crowds each weekend to Chelsea’s Bicentennial Park. 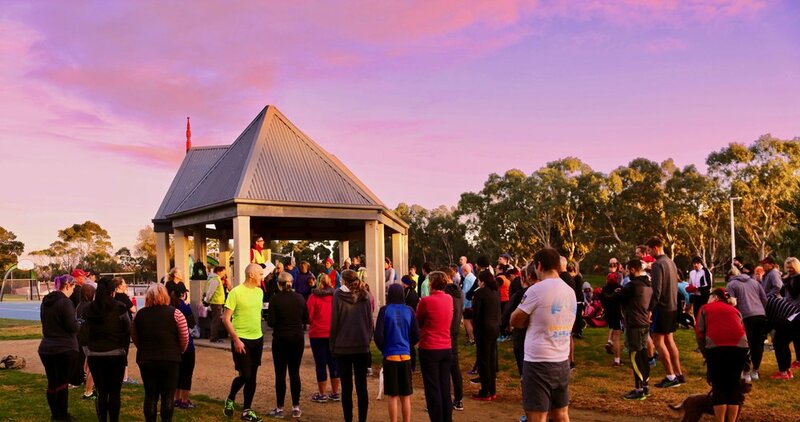 Chelsea parkrun is a 5km timed event that winds its way along sections of the Longbeach Trail, with vistas of the low-lying wetlands against the rising 8am sun, before reaching the end of the loop at Patterson River. Thousands of courses like Bicentennial Park exist around the world, and at Chelsea an average of 200 people participate in the weekly health ritual, with numbers heating up in summer to 270. For some it's a social outing with the dog; for others it’s a physical outlet for some mental space. Event director Peta Wragg provides a warm welcome for runners, walkers and people gathering just before the parkrun’s 8am start, and describes the volunteer event as inclusive of all capabilities. “It’s a run, not a race, and we have walkers, people pushing prams, people with dogs, and we have fast runners as well,” she says. Kingston councillor Tamsin Bearsley was instrumental in the establishment of the first course in the City of Kingston. She and Mrs Wragg established contact with one another, and a year on, parkrun is celebrating its first birthday at Chelsea’s Bicentennial Park. Cr Bearsley believes the social aspect of the event is one of the reasons parkrun has been a real hit. To get involved, simply register at www.parkrun.com.au, and bring along your barcode to your nearest parkrun event.